Ok! Anyway, I found this on MyRecipes.com, which includes recipes from Cooking Light, Southern Living, and Sunset, to name a few. 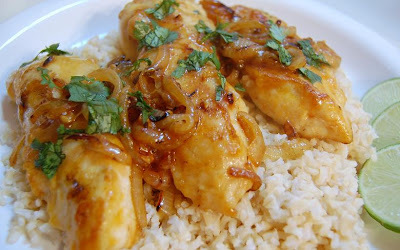 This one is from Cooking Light, and you can see the original here. It's so quick and easy to make! I love that. Who wouldn't? You can have this on the table in less time than it would take to get take out. It's delicious, too. I used brown rice and didn't use bottled minced garlic, because, eeeewww. It takes one minute to chop fresh garlic! And it's gooood. It's hot, but it adds flavor, too, not just heat. I can get it in my regular grocery store, so I'm guessing it's not hard to find. You can read a little about it here. If you can't find it, use another hot sauce instead. Cook rice according to package directions, omitting salt and fat. Keep warm. Toss chicken with cornstarch and fish sauce. Heat remaining 1 teaspoon oil in pan. Add onion, garlic, and ginger to pan; sauté 1 minute. Return chicken to pan; cook 1 minute or until done. Stir in coconut milk, Sriracha, sugar, and juice; cook 45 seconds or until thoroughly heated. Sprinkle each serving with 1 1/2 teaspoons cilantro. 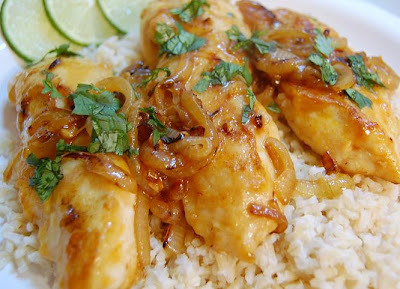 Serve chicken mixture over rice with lime wedges. I cooked the onions for about 5 minutes, because my husband doesn't like crunchy onions in his cooked food. They've got to be tender, lol. But they were still good. I'm definitely making this one again! It's got three important things going for it--quick, easy and delicious. The Irreplaceable and Irresistible Pixie over at You Say Tomato, I Say Tomato tagged me for a Six Word memoir. It's basically just six words that describe yourself. She's such a sweetheart, that Pixie, and she has a fabulous blog, so please go check it out! I'm sure my friends and family could all give you different words about me, but they're not writing this blog, I am! hahaha! I LOVE Pixie's idea for tagging 6 more bloggers, so I'm copying her. "Oh 'fortunate' selected Bloggers, it's really up to you if you wish to play along! I believe the entire purpose of this is to introduce bloggers to each other; to build the wonderful Food Community that exists. So feel free to write your memoir or not, the choice is entirely yours but honestly, I'd much rather prefer if you took just about 5 minutes to visit at least one of the mentioned blogs that you have yet been to, have a quick browse and say hello." 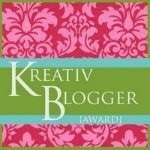 So I'm going to tag six blogs that you may not have seen yet. Three of them I read regularly, and three I chose randomly from the Foodie Blogroll, and I'm going to add them to my reader. I hope that you guys that are reading this will check them out and leave them a nice comment. It's still so thrilling to me that you guys actually read my blog and leave nice comments! I'm continually amazed at how supportive the food blogging community is. I'm still so new to this, but everyone has been great, and it would be nice to look at some blogs we may not have seen yet. 4. Tag five (umm or 6 or 7 or) more blogs with links. So please go check them out and let's show them the same support that you all have given me. Thanks! I don't cook Thai food very often. I don't know why. I guess I'm afraid of the spice of it all. Since hubby likes it though, I'm inclined to try this one and definitely halve the hot sauce! It's really delicious, Recipegirl. I was very happy with it. But it started getting spicier towards the end, so yeah, cutting in half was good for me, hehe. I think it would be good with some coarsely chopped nuts over it, too...peanuts or cashews, maybe. ta for taking part and for adding my suggestion- i'm glad you tagged a few bloggers that I love too and a few that are new for me that I will check out NOW. Hi Elle, thanks for you comment at my blog. Thai food is one of my fav and I just love cooking with the sirachi chili sauce. I normally don't plan my meal before shopping and I just buy whatever that are on sale at the supermarket. Do you mind if I link you? 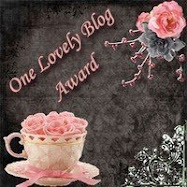 Hi Elle I've only just come across your blog and wanted to say how wonderful it looks. I love Thai food and will certainly be giving this a go. I am really bad at making lists. I only have one or two dinners in mind when I go to the grocery store and the rest of the week is just making this up as I go along. Hehehe. This chicken recipe will definitely be in "the list"
pixie--I love having a full freezer! It makes planning meals so much easier. icook4fun--you're welcome! Sure you can link to me! Nikki--I think you guys *would* love this one! woosh squeak, lmbo! Ben--I'm so bad. I need lists to remember so many things. Someday, I think it would be cool to go to the smaller markets (farmers market, butcher, fish guy) nearly every day to get the freshest ingredients. I am totally a list maker. I wish I could find an ingredient and be inspired by it right at the store, but it doesn't work that way for me. This recipe sounds delicious - I'm a huge Cooking Light fan! Deborah--I love Cooking Light, too! They have a recipe for just about anything you could ever wish for. this is really tempting....anything Thai; esp. Thai inspired chicken over a bed of rice will do me in....and I'm doing the raw & juicing thing during the day but this is getting my pavlov reaction going! 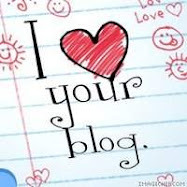 I just found your blog & it's great! I usually base what I'm cooking on what I have in the pantry. I try to make lists, but I never succeed! This recipe looks delicious. mmm...coconut milk. you can sign me up for anything involving coconut milk. Oh looks great and I make grocery lists and then leave them at home. It's really helpful. 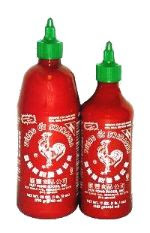 Oh my God--I just picked up a bottle of Sriracha for the first time ever on Saturday. I got it just because my bf likes spicy stuff and he wanted to try it. I didn't know what to do with it though, and look--here you are with a recipe. I think I'm fated to make this dish of yours--it looks great! By the way, I'm a list-maker. I try to do my grocery shopping only twice per month, which means carefully planned shopping that covers two weeks at a time. I just love planning what meals I'm going to make and how I can get the most out of a single set of ingredients. It's a small obsession of mine. That chicken looks so tasty!! I like the coconut milk in it. I'm the same way...I have a list but sometimes I must go off it when something looks good. I love this recipe! Adding it to my list! Love thai all day long! haven't had it in a while though. Make the grocery list--it's sooo helpful. Looks great. I have to try this recipe. Thai food is one of my favorites. I love the recipes from cooking light, makes eating healthy simple and good. Every time I make something I never miss the fat or calories. 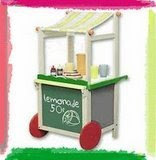 Taste Memory--I've been reading about your adventures with juicing and raw foods--very inspiring! Grace--thank you! I just got back from the grocery store and guess what? I forgot something that was ON my list. hehehe! Noble Pig--I've been known to do that, too. Vicarious--I love choosing what to make, too. And my husband is a consultant and goes from contract to contract, so very often I go shopping every 2 weeks, too, depending on how he gets paid. It's tough that way, especially if you've got lots of produce! Ginny--hope you like it as much as we did! Rita--yeah, sale is a big part of my list, since there are 6 of us, hehe. Anamika--greetings to you, too, and thank you so much! Hallie--I love Cooking Light, too, so much!